First Deputy Prime Minister, Dmitry Medvedev, has announced that all Russian schools would finally be able to use legal software, with 3.7 BLN roubles allocated from the state budget to resolve the problem of intellectual property rights. Legislation has been developing rapidly, but the software and media market is still dominated by pirates. 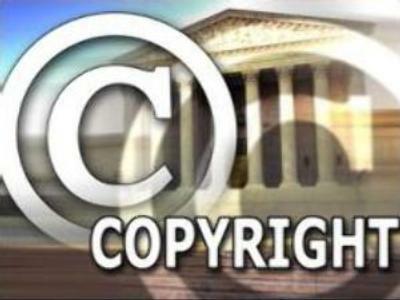 Copyright, in its most general sense, is the power to control the copying of an original creation. It can exist in creative, intellectual, or artistic forms or “works”. Back in the 90s the British band The Verve released a song that later became one of their hits. Samples were lifted from a Rolling Stones tune. After a legal battle the court ruled the band had to turn over a hundred percent of the royalties to the Stones. That's just an example of how the copyright law can work in the UK. In Russia, however, the situation is not quite the same. Copyright law expert, Ekaterina Chukovskaya, says in Russia, it's not the legislation that is to blame, it's the law enforcement. And the lack of a legal culture among consumers and copyright holders. “Celebrities are not always attentive enough to details; they fail to sign proper contracts. On the other hand, consumers are often indifferent to these problems. Fake medicines – that's a worry, and buying a fake DVD is not a crime for them. They don't understand that they are involved in a huge business that has already exceeded illegal weapons and drugs,” she said. Fake CD and DVD products account for two thirds of the Russian market. Authorities are trying to fight the problem by organizing raids, releasing anti-piracy ads, and imposing bans on sellers. But the industry remains mostly illicit, exceeded only by China. And yet, fake discs are not the worst option. Found and confiscated, they at least can be crushed into little pieces. But how to fight something that you cannot even touch? Out of $US 100 MLN worth of music downloads, only $US 400,000 are legal. Experts say, a legal online music market does not exist in Russia. “There are two major problems: one is a huge amount of illegal online shops. So the first step is to eliminate them, and that requires changing laws. The other problem is that major record labels are unwilling to enter the Russian market. They are scared. We have to persuade them that they can and must work with Russia, that there are companies able to meet international requirements,” stressed Aleksandr Kuznetsov from legal online service Yanga. For obvious reasons, show business is the area most prone to copyright theft. Producer Evgeny Fridlyand, who created one of the first Russian boy bands, Premier Ministr, has become involved in several law battles with his former band members over copyright. “I am not an exception; there are a lot of examples, because there aren't enough regulations to control this area. I think a strong will is needed from those involved and the government to improve the situation. My prime motivation in this fight is not money. When it happened to me, I realized that we have to shape this system ourselves if the legal base for it does not exist. So we decided to fight. And it is moving in the right direction, but very slowly,” he said. Cracking down on the illegal music market has become a condition for Russia's joining the World Trade Organization. Without real help from the authorities, and real will from copyright holder, and an awareness from consumers, progress will be slow.